Marc Casatta and Christian Seifried decided in the year 2003 to consolidate synergy that has resulted by then and to invest in a combined music studio. By doing so they lay the groundwork for a long-term cooperation. Due to a flooding in 2009 they were forced to leave their studio immediately for an indefinite time. What is initially perceived as a rad mandatory break, turns out in retrospect as the beginning of a new era. Still at the end of 2009, the construction of today's "SM Groove Studio" started. After more than one and a half years of intensive planing and realization, in mid 2011 the launch of the new creative pool could finally happen. 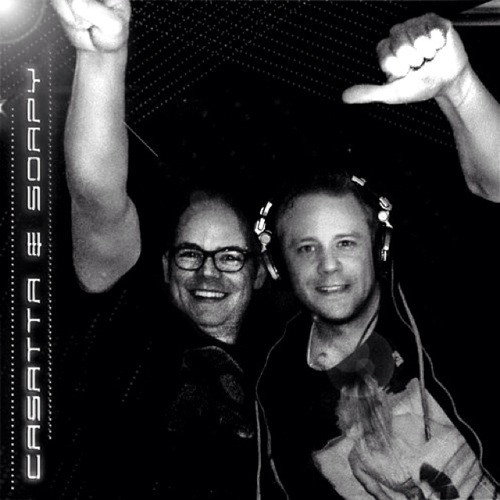 Casatta & Soapy present themselves in various directions of electronic music, with focus on House and Techno. For it is not the style, but the authenticity of the music within their attention. Therefore you can be curious for any upcoming release!